Most Classic Porsche fans in Belgium had been waiting for the Flanders Collection Car quite a while. The poster announcing the event promised some great stuff, as Porsche was the car in the picture in the annual event in Flanders Expo. To our great surprise however, the car that took so much attention on the poster, the ex Josef Jeser Porsche 550-016 Spyder that resides in a Belgian collection since 2008, was not in the exhibition. Even though we’ve seen the car multiple times at different shows and rallies, we were hoping to see this unique piece of Porsche history once again. Bad luck for us on that, but that didn’t mean the show wasn’t worth visiting. 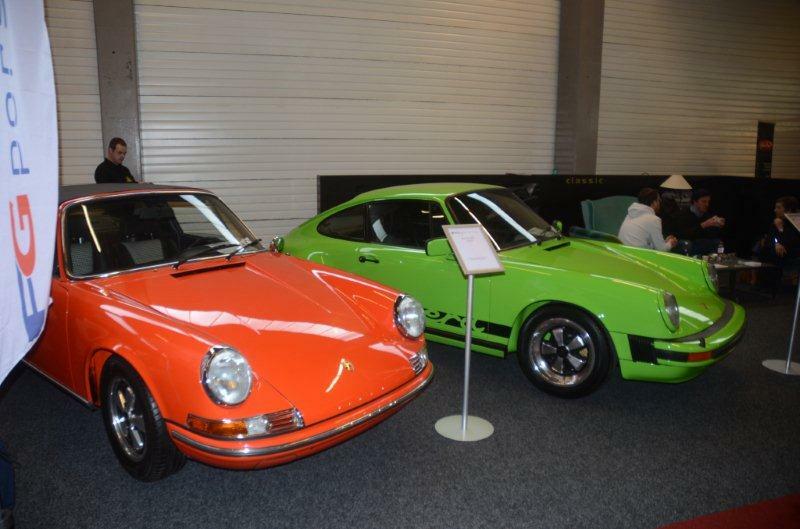 Carrera Motors, the dealership of East-Flandres spared no expense to make a great exhibition. They managed to bring together quite some interesting cars from all ages. Once again it was obvious that the cars that were less appreciated some years ago, gain more and more attention. The price aPorsche 912 catches nowadays, would have been good for a one way ticket direction bedlam some years ago. Even the water cooled Porsches 924 and 944, cars that weren’t even considered to be true Porsches, have become quite common at classic car shows. In my personal opinion that’s a good evolution. These cars are part of the history of our beloved car maker too, and people buying these cars might be the buyers of more important racers in the future too. The Flanders Collection Car had a large selection of parts, literature, and memorabilia as usual. Actually I guess it was hard not to buy something, as you’ll always find something in a classic car show as this one, whether it is useful or just a nice addition to one’s collection.